03/02/2011 - Collapse of PAL performance at Transmediale, Berlin, DE. 5->10-10-'10 – Residency + Performance with Gijs Gieskes + Jankenpop @ databit.me, Saint Remy de Provence, France. 17-09-'10 – ♪♫ Collapse of PAL @ IN/OUT Festival, The Tank, New York, US. 13->15-08-'10 – Visuals + collab. @ Satta Outside, Šventoji, Lithuania. 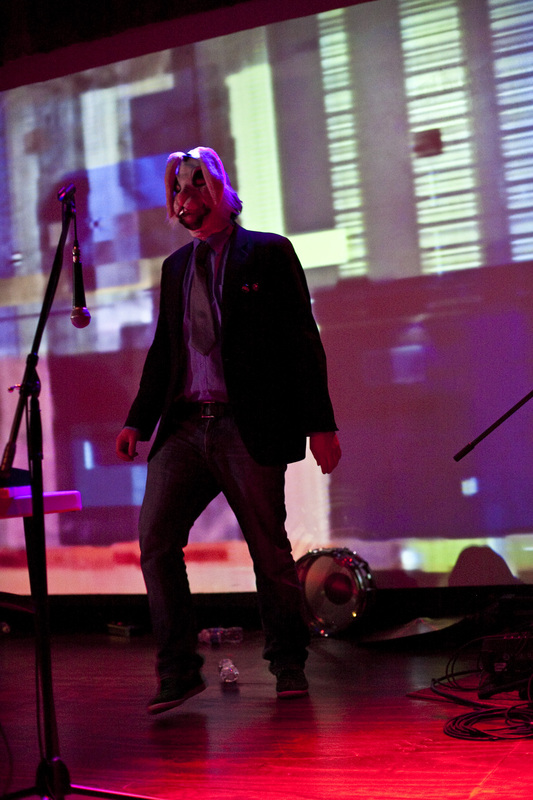 Angel of History Performance with Failotron. Visuals for Failotron and Goto80. Visuals for Anamanaguchi et all. Public Assembly, Brooklyn, New York, USA. Blip Festival, New York, US. Media Playgrounds Amsterdam / Salto Live Television. VJ at Opening party Cimatics. Blip Festival Europe, Aalborg, Dnk. Festen Party #2, Paris, Fr. Microparty vs Stunfest, Rennes, Fr. photo. SHARE @ iMal, Brussels, Be. My Bits Are So Chip, Annecy, Fr. OFF Nuits Sonores, Lyon, Fr. VJ at UpRough 10 year ann. party. Television Performance with de Waag’ Circuit band project.